We’re currently on the lookout for a special someone, a cook, to join our team at Birkemosegaard Køkken of Sjællands Odde and Det Økologiske Inspirationshus in Frederiksberg. Professional kitchen experience is a must, whereas a formal chef’s education is not. We’d like you to meet our passion for produce and our dedicated ambition to bring our guests closer to the soil, from which their meal has grown. You mustn’t be a stranger to rolling up your sleeves; harvesting, foraging, gathering herbs and vegetables, be it close to shore, in the field or the forest, come rain or sunshine. You must however be content working and cooperating with others in a team, as well being confident in your own ability to work independently, and effectively so, as you potentially, in time, will steer service on your own. As Assistant Cook, alongside an enthusiastic team, you will partake in all aspects of our kitchen: our a la carte service at the farm restaurant, prepping, participating in catering jobs and the occasional private dining assignment. To you, we are excited to offer this full-time position from primo May to ultimo September 2019, joining an idealistic and uncompromising kitchen situated in a wing of Birkemosegaard, one of Denmark’s oldest biodynamic agricultures, just 200 metres from the sea of Sjællands Odde. 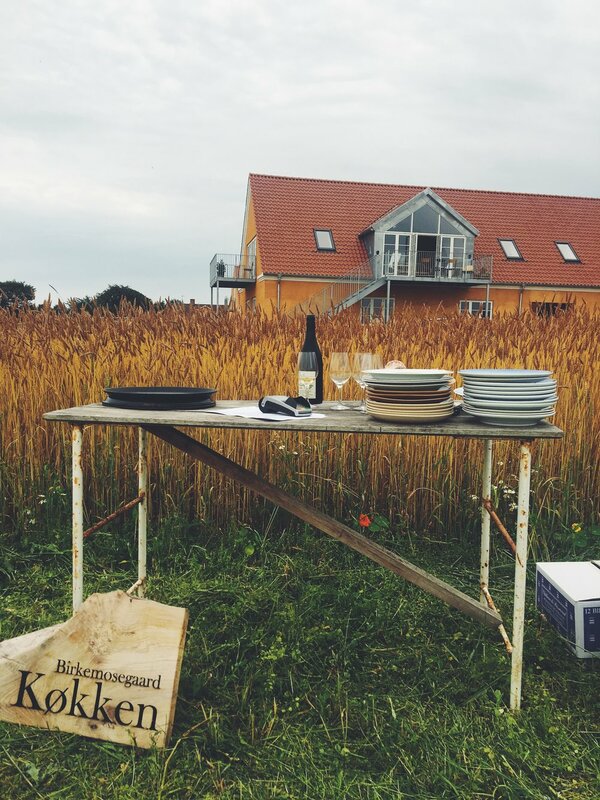 We aspire for Birkemosegaard Køkken to be the epitome of a farm-to-table eatery; so far 95% of the produce which we prepare and serve, stem from the farmstead. The whole shebang is orchestrated by Marie Hertz & Martin Kvederis, accompanied by head chef Riccardo Giraldo, maestro of the kitchen. Menus are discussed and decided upon collectively -and by season, of course. We ask you to forward your application to kontakt@birkemosegaardkokken.dk, preferably by 5th of april at the latest. Please do not hesitate, should the above leave you with any curious questions, getting in touch. We look much forward to hearing from you.